It was meant to be one of the biggest games of 2018, but Bethesda’s post-apocalyptic game Fallout 76 left a bitter taste in many gamers’ mouths last year. It definitely wasn’t the worthy follow-up to 2015’s fantastic Fallout 4 that many were expecting, and was a failed experiment in bringing multiplayer to the Fallout franchise as we pointed out in our review. 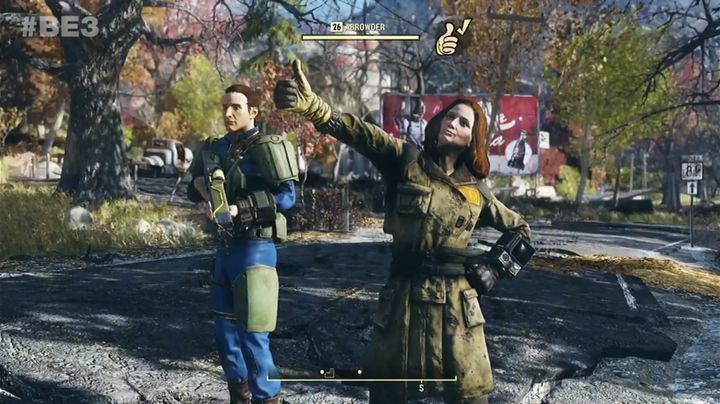 Another thing that had many Fallout fans up in arms last year was that Bethesda chose to skip Steam for Fallout 76, instead opting to release the game via its own Bethesda.net platform. This was something of a bummer for those who were hoping to add the Maryland-based company’s latest post-apocalyptic game to their Steam collection, for sure. But now those yet to explore Fallout 76’s post-apocalyptic West Virginia might be happy to hear that the game will actually be coming to Steam, as Bethesda recently announced in a tweet (via PC Gamer). Bethesda is yet to reveal the exact date when Fallout 76 will hit Steam, only stating this will happen later in 2019. Aside from pleasing those who were reluctant to take the plunge last year due to the game skipping Steam, this will also provide some relief to Valve after several high-profile games like The Division 2 and the highly rated Metro Exodus launched on the Epic Games Store, skipping Steam entirely this year. And Fallout 76 could end up becoming a better purchase this year, as Bethesda has already announced a series of ambitious upgrades for 2019, including the Wild Appalachia update which was released recently for the game. There’s rumours that another Fallout game could be in the pipeline too, so it would be a great thing if Fallout 76 enjoys a great launch on Steam, and that the upgraded and enhanced version of Bethesda’s post-apocalyptic game can reach more people this year.